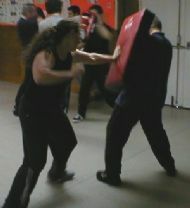 The Modern Combatives Group was established in 2002 and consists of civilian, law enforcement, ex-military and security personnel who are interested in studying and training the skills and techniques of close quarter combat. 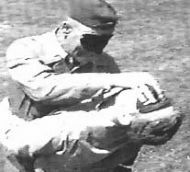 The combative techniques that are utilised have their grounding in WW2 and post-WW2 military unarmed combat techniques, western boxing and grappling and proven street effective dirty fighting skills. These skills have been tested in various personal protection, security, military and police/enforcement operations around the Globe and in a variety of situations. We are firm believers in the truism that theory is all fine and well - but its practical application and experience that counts!!! The MCG is a private training group and invitation to training days is currently only extended to those people who train with us on a regular basis or to individuals who have been "sponsored" by our regulars. 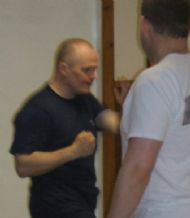 The Modern Combatives Group is a non-commercial organisation. All monies are re-invested back into the continued support and funding of the group.